Glassware & Crystal → Engraved Glassware → Engraved Large Wine Glass - Holds Full Bottle Of Wine! Engraved Large Wine Glass - Holds Full Bottle Of Wine! Engraved Large Wine Glass - Holds A Full Bottle Of Wine! It’s wine o’clock! This 850ml Grande Vino wine glass really does hold a full bottle of wine! With plenty of space to engrave an inscription or message. 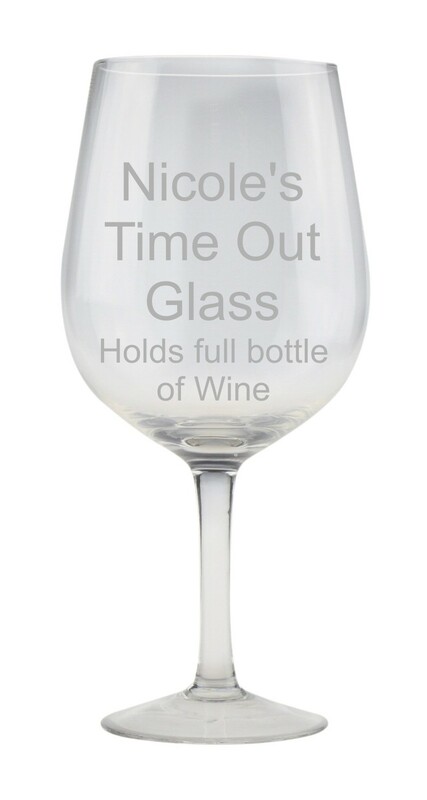 It would make a great work leaving gift or present for the wine lover in your life. Ideal unique present for that special birthday, anniversary, Christmas...it's endless.